Whether you are hosting a party or just want to add some color to your home, this DIY simple tassel garland is the craft for you! With just a few affordable supplies and minimal effort, anyone can add this pretty garland to their space. Watch our latest video tutorial or keep reading to learn how to create this DIY in seconds with pre-made tassels from Paper Mart. 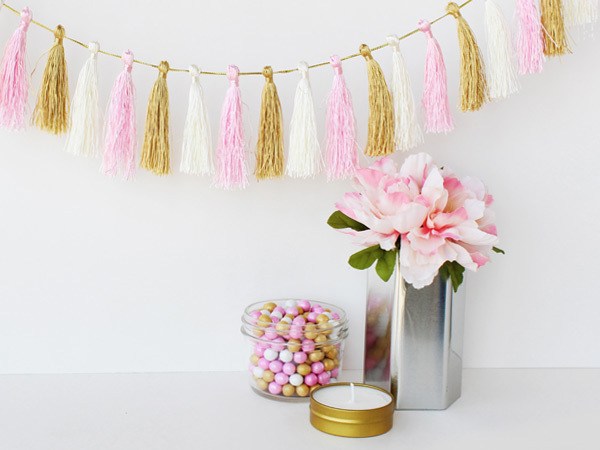 Here is what you will need to make this simple tassel garland. 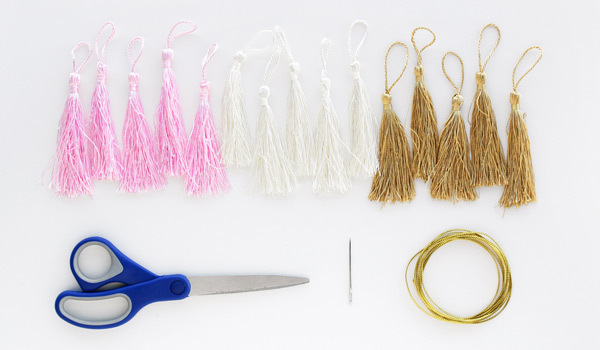 1) Before starting this craft, make sure to decide how to arrange the tassels. Your tassels can be organized by color, size, etc. Don’t stress too much about this part, it’s your garland and you can make it look however you want! 2) Once you’re happy with your arrangement, use scissors to cut and remove the loops from the top of each tassel. 3) Next, using a large needle, carefully thread your cord. 4) Now that your needle is ready, its time to string up the tassels. Poke the needle through the top of each tassel to thread them on the cord. 5) Keep threading the tassels until it reaches the desired length. Once its ready, display your garland by simply hanging it up. With just a few steps and supplies, your party or home is now looking a lot more festive! Liked this craft? Keep following our blog all year long for more DIY craft videos, tips for small businesses, product features and more!